Last week we set out our fancies for Championship success over the course of the season & for Twitter followers selected Peterborough as our bet of the weekend (successful at 11/10) but this week we're back with our first proper blog of the season & we've trawled the games & the stats to bring you some value tips. We reckon that this is the game to watch this weekend with last season's highest scorers in the Championship, Watford, playing host to last year's top goal-getters from League One as Eddie Howe's Bournemouth roll into town. The two teams are some of the more interesting clubs around, both on & off the pitch, with Watford's strong ties to Italy & there being talk of potentially very substantial sums of money around Bournemouth who are part-owned by (amusingly named) Russian businessman Max Denim. Both sides are committed to playing attractive football & that comes from the coaches with Gianfranco Zola being one of the finest players to grace English football in the past 20 years & Eddie Howe one of the brightest young managerial talents around whose reputation was seemingly not harmed by his sacking from Burnley. That attacking philosophy is borne out not just by the fact that both teams were top scorers in their leagues but also because they happened to ship a few goals too with Watford's games containing joint-most overall last year & Bournemouth's 2nd most in League One. Both teams have started out with 100% records with wins on the first league game of the season & then midweek victories in the first round of the League Cup so will be coming into this game with a little bit of a bounce in their step. That however may not be a good thing for Bournemouth as they are running into one of the Championship's top teams here who only missed out on automatic promotion by a couple of points last year & appear to have a top striker in Troy Deeney even if they couldn't persuade their top man from last year Matej Vydra to stay. The Hornets don't have to just rely on Deeney for firepower though with the diminutive Fernando Forestieri chipping in with a few & the excellent Almen Abdi ready to score as well as creat goals from midfield. Bournemouth have tried to improve their options in defence with the signings of Ian Harte & Elliott Ward but more than that needs to be done if they aren't to concede with regularity & at the moment it remains to be seen whether their attack at the other end will be able to compensate although Lewis Grabban had a dream start bagging both goals in their 2-1 win against Charlton. We've no worries that Bournemouth will stay up this year as their home form seems likely to be strong but it's on the road that we worry & Watford should be slightly shorter than 8/11 to win this one - the odds of 4/5 for over 2.5 goals was tempting too but we'll stay with the home win. The other game we like the look of from a betting point of view is between last season's 3rd & 5th place League One sides, Uwe Rosler's Brentford & start-up manager David Weir's Sheffield United as the two well fancied teams battle it out for early season supremacy. 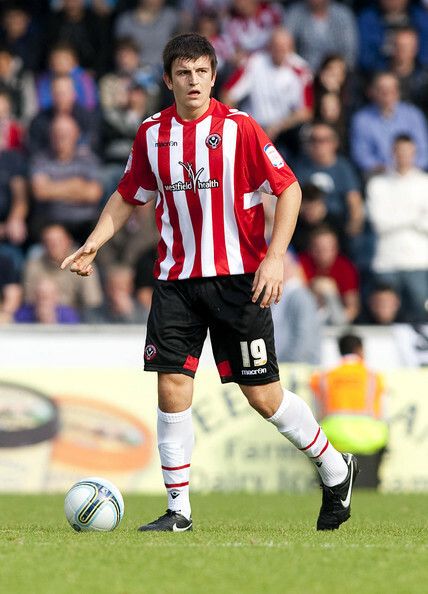 Brentford have gone about increasing their squad size in the summer with loans & permanent signings, with Will Grigg probably the standout buy after the 22 year old scored 19 times in the league for Walsall last term. The Blades have been more cautious in the transfer market in terms of volume but have a big squad already & they'll be desperate for new signings Febian Brandy & Lyle Taylor to fire in the goals they need to add to their defensive solidity that Weir will look to maintain. Both teams lost a joint league-low 9 games last season but came up with too many draws to claim an automatic promotion place & instead failed in the playoffs. With Sheffield United surely coming to first ensure they don't lose this could be a tense little encounter & that means the draw becomes a big player in the market & odds of 12/5 are very fair indeed. We think Sheffield United will be ultra conscious of the threat Clayton Donaldson provides the Bees & will attempt to defend in numbers to counter that & as they are so comfortable on the back foot a small play of No Goalscorer at 17/2 with BetVictor is advised also.